On Saturday, January 19, starting at 2:30, in downtown’s Pioneer Courthouse Square, Oregon Right to Life is holding its annual memorial and march in Portland. January 22 is the 45th anniversary of Roe v. Wade and Doe v. Bolton, the Supreme Court decisions that legalized abortion in America in 1973. 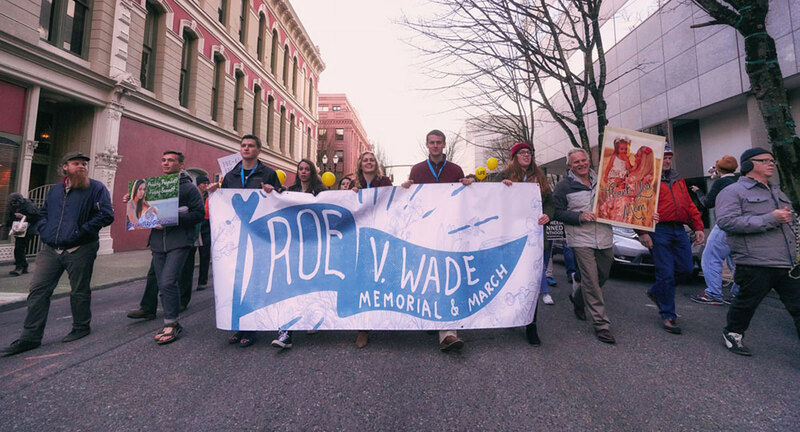 WHEN: January 19, 2:30-3:30pm, March for Life immediately following. I am planning to be there. I volunteered for ORTL at Fishfest and Oregon State Fair. I would like to sincerely apologize for my unethical behavior at the 2019 Pdx Women’s March. I am not a member of Antifa or any other political or social group. To anyone I individually disrespected and the entire Evangelical community; please know that it wasn’t personal, I’m disappointed in myself as an Atheist. More importantly, as an American. Both sides have dug in academically and emotionally, both camps lay claim to the moral high ground. It was my first event, and I got caught up in the ugliness. My parents were both born-again, we attended nondenominational Christian churches, even attending the inhouse Ace program. Mom played flute in the choir and dad was assistant youth pastor. My memories of Christianity in the 1980’s was based around shame. Shame brought self-loathing. It was a difficult time. I’ve never told anyone that. Perhaps I should have. 25 years of festering mistrust and hurt spewed out, all at once. I became the ugly thing I was fighting against. I’m sorry. Never again will I use any intimidation or bullying tactics. If there is anything, I can do to bring our sides closer or answer any questions, please don’t hesitate to ask.